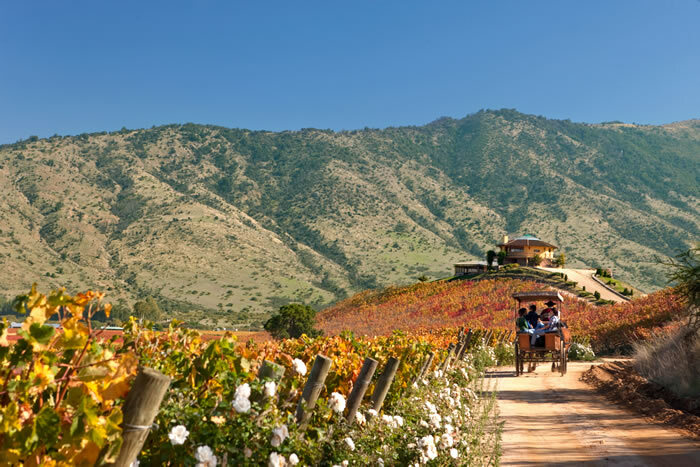 Transfer from the airport to your hotel, followed by a city tour.Santiago de Chile combines the characteristics of a rapidly modernising metropolis with the historic features of a colonial city. This private tour will introduce you to both the historic centre and Santiago’s modern side. In the historic centre, you will visit the presidential palace, once the national mint, and hence named La Moneda. Additional sights are around the historic main square, the Plaza de Armas, with its cathedral and the beautiful old post office; the Palacio de la Real Audiencia, now home to the National History Museum; and the Casa Colonial, which was once the governor’s residence during the colonial era. The best views of Santiago and the Andes can be enjoyed from the summit of Cerro San Cristóbal, where a large statue of the Virgin Mary overlooks the capital. The hill is part of the Parque Metropolitano – the city’s largest municipal park – where many Santiaguinos spend the weekends practicing sports or enjoying a barbecue. After visiting the Cerro San Cristóbal, the tour continues through Providencia, one of the capital’s exclusive districts, with attractive shops, good restaurants and modern high-rise buildings. In the morning, your English-speaking guide will show you one of the newest vineyards in the Maipo Valley, Perez Cruz. Its first wines were bottled in 2002. It is famous for its modern architecture, which blends very well with its environment and makes excellent use of technology and aesthetics. The cellar has natural light and a sophisticated system for isolation and circulation to provide ideal conditions for the wine making process. 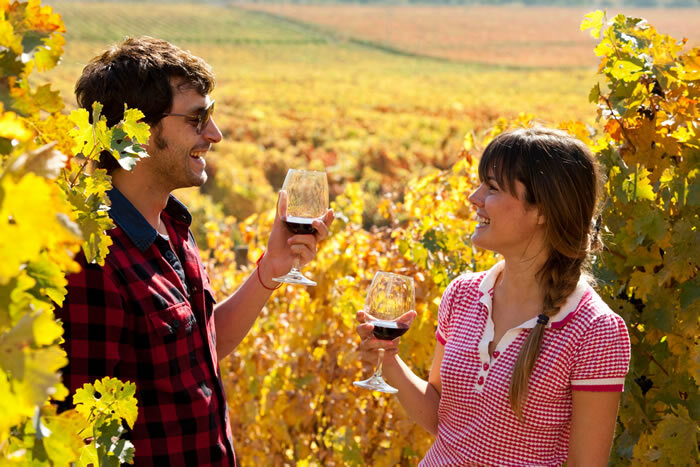 The visit consists of a tour inside the vineyards, the wine vault and a tasting. also reflects in the architecture: the building, located between vineyards in the foothills of the Andes Mountains, is in the shape of a giant horseshoe. Haras de Pirque is Chile’s oldest horse breeding and training establishment for pure blood horses. It has existed since 1892, and more than one international trophy winner was produced at its stables before winegrowing was started here, at the beginning of the 1990s. During the tour, you will visit the horse stables and the winery. At the end of the tour, your can taste two wines before appreciating the owner’s carriage collection. Lunch at La Fontaine Restaurant, overnight at Lodge VIK. 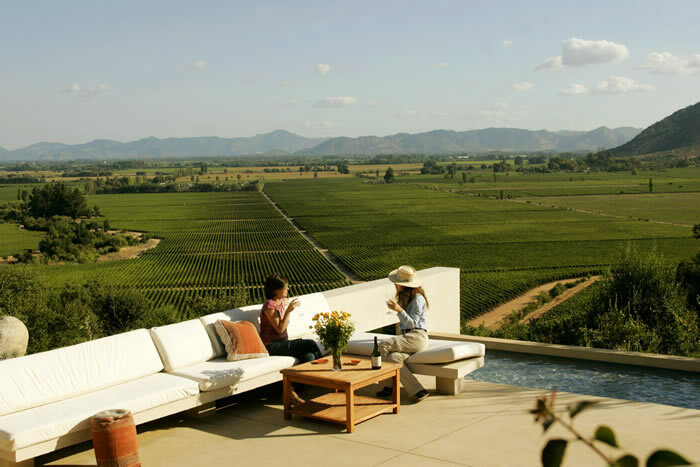 Today you will first visit Anakena winery, located at the bottom of the Andes which range in the Cachapoal Valley. 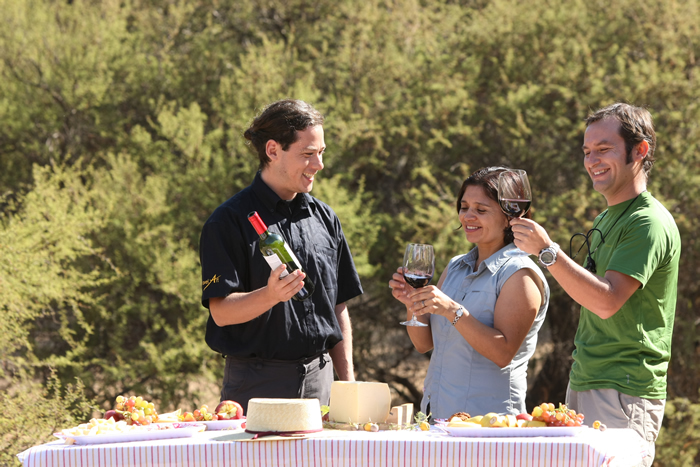 In this wonderful environment, Anakena invites to discover the excellence and diversity of its wines. 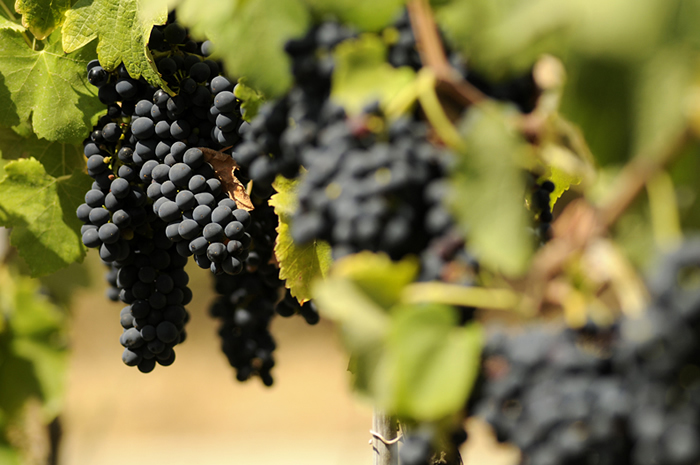 In an informative tour through the vineyards you will know the characteristics of every variety. In the wine cellar you will be introduced to the magic of making quality wine, followed by a tastingin a privileged environment. The second vineyard of the day is the exklusive Altaïr winery. You will be welcomed at a site with panoramic view of the vineyards. After an informative walk through the vineyards, you will visit the state-of-the-art gravitational warehouse. The tour concludes with a tasting of the flagship wine of this house, “Altaïr”. You beginn the day with a relaxed morning in the beautiful little city of Santa Cruz. Stroll along, or visit the really interesting and complete «Museo de Colchagua». idyllic, and the impressive main building of the estate dates from colonial times. The history of the vineyard is told during your guided tour, followed by a trip around the vines by historic horse-drawn carriage. Afterwards, the processes of wine-making are introduced during a visit to the estate’s wine cellar. Back at “La Llavería“, you will have the opportunity to try three reserve wines, before taking lunch at one of the estate’s restaurants (optional). Overnight in Santiago. Today our excursion starts with the vineyard Emiliana, where you will get to know the concept of “integral production”during your guided tour. Then you will have the opportunity to find out yourself about those award winning wines enjoying a tasting of organically produced white and red wines. Afterwards you will be able to compare your impressions with the next wine-growers at the young winery Matetic, located very close to the Pacific coast. The different steps of wine-growing will be explained to you in detail while you roam through the modern and architecturally beautiful wine cellars. Finally, two Reservas wines accompanied by exquisite sheep’s milk cheese produced right at the vinery will finish your excursion – a day full of taste and delight.